Figuring one winter for the year wasn’t enough, as soon as summer hit New York, I hopped on a flight and headed down under to Sydney, Australia. Traveling for 30 hours and arriving just after six in the morning, I spent my first two mornings at the studio combatting 14 hours of jet lag with Pilates and espresso, before finally rushing off to city center to see the iconic city of Sydney. Escaping the rain for a morning in the Contemporary Art Museum of Sydney, I gazed through dozens of Australian based instillations before grabbing a quick cappuccino at the museum’s fifth floor panoramic cafe. With the sun reappearing, I then headed to Dawes Point Park for a stroll under the Harbor Bridge and of course, a glimpse of the Sydney Dance Company studios. Wandering around Sydney Cove, Port Jackson, and Miller’s Point, I suddenly found myself among the markets of The Rocks. With umbrellas floating above me and a myriad of stalls selling locally made jewlery, bags, and clothing, I spent hours exploring every nook & cranny before heading to Hyde Park for a view of the Sydney Tower. Heading next to Darling Harbour, I quickly realized lunch would be much easier said than done. With miles of restaurants along the water serving every type of cuisine imagined, it took about an hour before I finally settled in for dumplings at the waterside restaurant, Lotus. With a walk through Chinatown and the incredible Glebe Market, I then circled back to the harbor for the spectacular Vivid Light Show I had already heard so much about. While Sydney’s skyline and world-renowned Opera House are enough of a view on their own, I was lucky enough to be in Sydney just in time for the last two nights of Vivid. A light show involving every landmark, park, and building around the city, Vivid is one of the most spectacular sights in Sydney for tourists and locals alike. Amazed by the installations that covered every building alongside the harbor, I spent hours with the lights before hopping back on the ferry & heading back to Manly. With another day to explore, I was determined to finally trek over to the legendary Bondi Beach. Catching a local bus and riding 20 minutes east of the city, I soon found myself at one of the most beautiful beaches in the world. Even in winter, Bondi is scattered with tourists, locals, and a few elite Bondi Club Members (a membership requiring applicants to swim at Bondi every Friday for 4 years in a row, no matter the weather, for membership). Brunching at a local trattoria, I spent the afternoon sipping on local Australian shiraz and feasting on crab spaghetti before journeying back to city center. Catching the sunset over the harbor at the Opera Bar and venturing across the bridge for visit to Luna Park, another night of exploring Sydney came to an end with plans to visit the famous Taronga Zoo the next day. Anxious to spot a koala, I wandered around the hillside zoo all morning seeing everything from meerkats to tazmanian devils to tree-kangaroos (literally kangaroos that hop through the trees) & of course the legendary koalas. Catching the cable car back to the top of Taronga for a panoramic view of the city, it was then time to explore more of Sydney outside of city center. Driving about an hour to the Northern beaches that afternoon, I walked along beautiful Palm and Whale Beach before hiking up to the Barranjoey Head Lighthouse. Gazing over the panoramic view from our 30 minute hike and finishing the day with a quick bite at a local beachside fish & chips shop, it quickly became clear how hard it would be to ever leave Sydney. 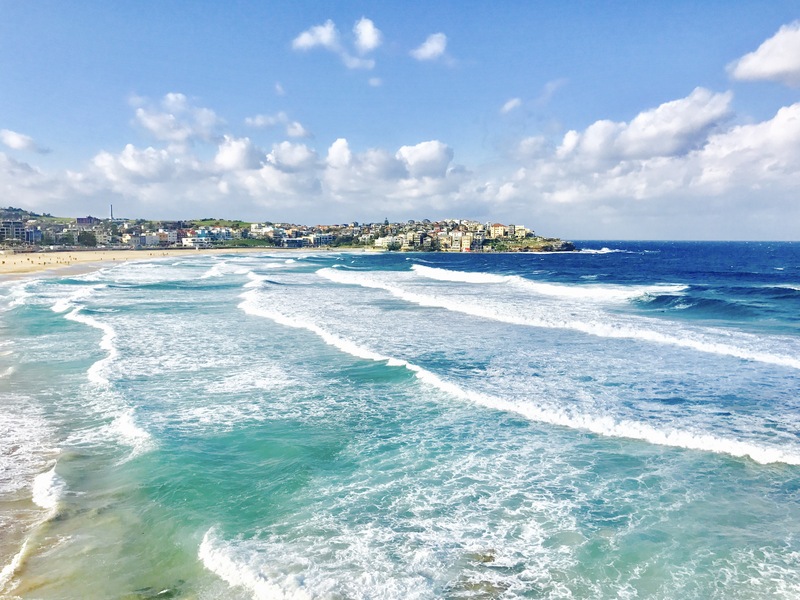 With only a few days more, I explored more of Sydney’s markets, Watsons Bay, the Botanic Gardens, Griffith Park, and of course, one more visit to Bondi for a hike to Coogee, a coastal walk with breathtaking views. Brunching at the Balmoral Beach Boathouse before packing up and heading to the airport, my visit to Sydney sadly wound down to end. Checking my bags and boarding my flight, I said one last goodbye to Sydney before taking off for my next adventure in Australia.